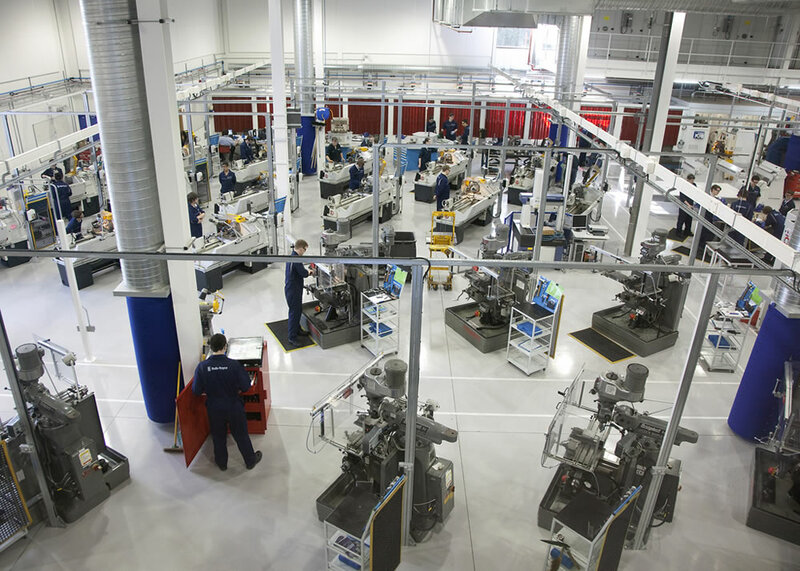 This new 3-storey Apprentice Academy in Derby provides additional training facilities in the field of precision engineering for Rolls-Royce. The building is an extension to their main existing training facility and is linked via an internal ‘street’ which provides circulation and break-out space for the occupants. A “workshop” allows for the creation of mock assembly line environments, which can be quickly reconfigured as techniques and training requirements change. 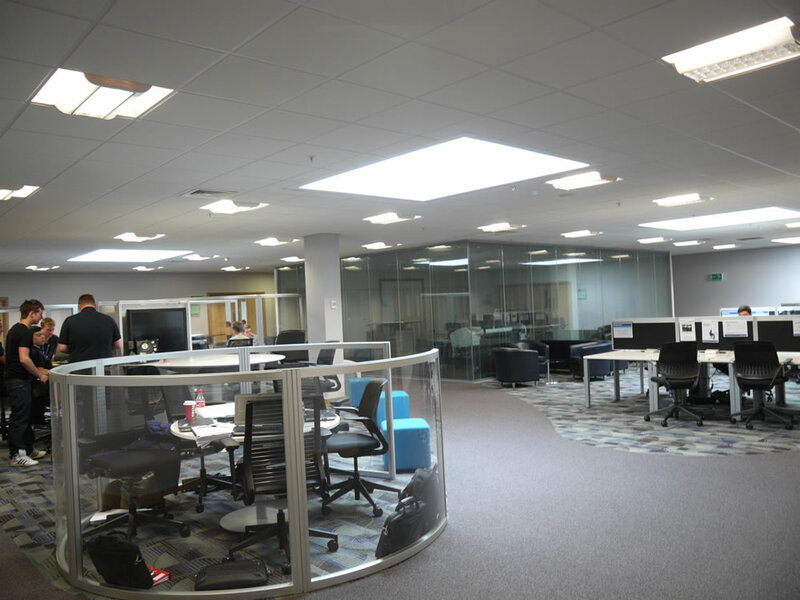 This is linked to a suite of teaching spaces, many of which look directly into the workshop, facilitating that direct relationship between theory and practicality. Frank Shaw Associates, worked closely with both Rolls-Royce and Clegg Construction to translate Rolls-Royce’s design concepts into an affordable and deliverable project.